These are things you should be doing before every long car journey, but are especially important if there’s a good chance of long, hot tailback. Firstly, fill your tank with petrol BEFORE you set off, don’t just rely on service stations for top ups. Not only will this mean there is much less chance of you running out whilst stuck in traffic, but it will also save you money – those motorway services aren’t exactly known for their low prices. Secondly, give your car a thorough check. This means tyre pressures (those at the wrong pressure are more likely to blow in hot temperatures) and whether the cooling system is in proper working order, and of course, all the other important details such as oil levels. If you’re not entirely sure how to do these things then ATS Euromaster page not only save you money on motoring extras but you can also use them to book your car in for one of their oil checks or 5-point health checks. They take a look at not only your engine oil levels but also make sure your screen wash is topped up, your wiper blades are in full working order (this is the British summer time after all), your bulbs are all tip-top and your car battery is in good condition. It’s worth checking that your current breakdown cover suits your circumstances before you set off and perhaps consider upgrading for your own peace of mind. RAC Breakdown can give you a comprehensive selection of packages to choose from if you do decide you’re not happy with your arrangements. This might seem like a strange piece of advice, but once you find you’re in a traffic jam that’s going nowhere fast, turn the engine off when it looks like you’re going to be stationary for long periods of time. This will not only conserve petrol but also cut down on pollution. 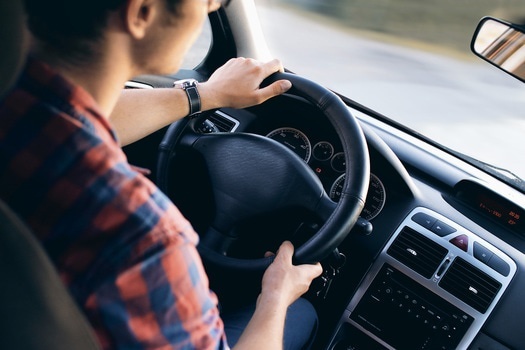 You might consider this unthinkable because turning of the engine also means turning off the air conditioning, but a short burst of air-con in the car can keep you going for a while. And don’t forget, if you’re going to charge your phones and tablets, make sure you do it while the engine is running because otherwise this will drain your battery. 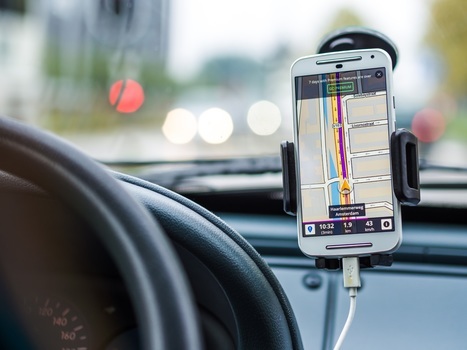 Talking of phones and tablets, there’s no denying they’re lifesavers when it comes to long car journeys with kids, but because of that battery issue it’s important that you don’t rely on JUST technology for entertainment purposes. Take books and games too, and research car games before you go, ones that are similar to Eye Spy but perhaps slightly more interesting. 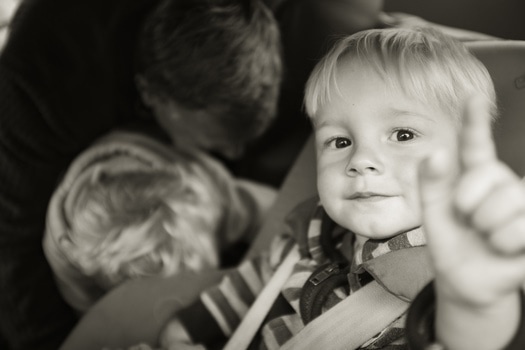 Yes, traffic jams are inherently stressful, but it’s important that you stay calm in this situation, especially if you have kids in the car as they can pick up on your bad vibes and their stress will make the situation even more difficult to cope with. Remember that no matter how bad it feels at the time, the situation is only temporary and you WILL get there eventually. Focus on the positives by talking about all the fun stuff you’re going to do once you get there. Another way to cope is to stay informed and inform others – as well as posting your own traffic updates on social media, make sure you keep track of the situation by using live traffic maps online. Ok, so they might not be particularly rosy when you’re in the thick of things, but they will bring good news eventually. Water is a must, obviously, but just one bottle each is going to be nowhere near enough. Based on current recommendations from The Natural Hydration Council, a family of 4 stuck in traffic for 14 hours would need 8 litres of water to keep them adequately hydrated. Avoid caffeine and alcohol as these will put more pressure on your bladder and sip little and often. When it comes to food, don’t take crisps and sugary snacks that will give you and your family short bursts of energy before leaving your tired and irritable. Stick to nuts, crackers, and fruit like apples and bananas that will keep well in the heat and aren’t too messy. The most important piece of advice that applies to all of the above is Be Prepared. Yes, you are going to get stressed, hot, hungry and thirsty, but as long as you have contingency plans in place for all of this, you’re going to be able to keep your cool in that traffic jam, no problem.